In recent years, several car manufacturers have created their own versions of ‘cockpits’ for your car. 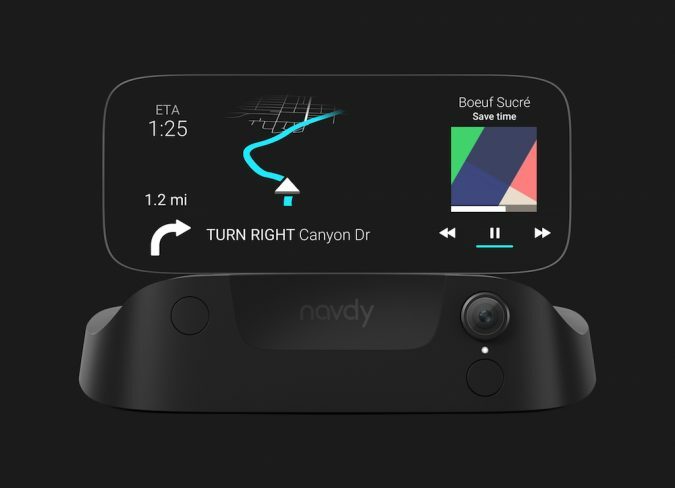 But Navdy positions itself as the world’s first augmented driving device. It offers technology that was, until now, only available in luxury cars and as an expensive add-on. It provides a futuristic driving experience for the relatively affordable price of £599 MRP. 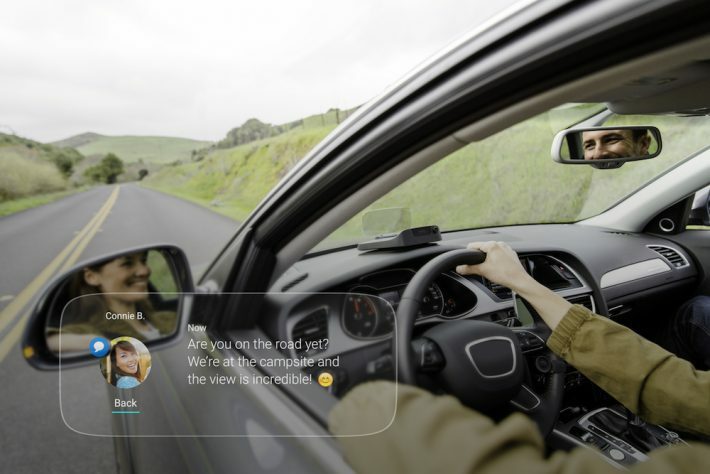 This ‘augmented driving device’ uses augmented reality (AR) technology to project a transparent image directly into a driver’s line of vision. The full-colour image projects into the distance so the road remains in focus. It enables Navdy to provide a wealth of information whilst the driver’s eyes are still firmly on the road. A great amount of appeal is in the fact that the device is portable. It uses a magnetic mounting system, making it easy to transfer between vehicles. Among the useful features is the Projected Navigation system powered by Google Maps. Navdy has its own GPS chip with local storage of maps meaning you are less likely to encounter ‘could not locate satellite’ and ‘no signal’ etc. Maps and directions appear in front of you so no need to risk a nervy look away at the satnav. Navdy Dial and Navdy Hand Gestures (they really have stuck the brand name on almost everything) allow you to navigate menus easily and implement commands with a wave of the hand. Hands free now means hands freely moving around. No word yet on what happens if passengers start waving around. Let’s hope a child’s energetic movements don’t accidentally send all your contacts a message asking ‘are we nearly there yet?’. Navdy is all about staying connected. You can use it to make and receive calls, listen to messages, control your music, receive calendar reminders and stay connected to apps. It also connects to your car via Navdy Dash, displaying speed and RPM. When fuel is low, it will recommend nearby fuel stations. Following a partnership announcement in December 2016, HARMAN has exclusive rights to distribute the new co-branded aftermarket Navdy with HARMAN device to automotive OEMs, specialty auto, and audio channels, as well as select mobile carriers globally. Navdy is available now for pre-order at Amazon.co.uk for £599 or from Navdy.com for US$599. It is compatible with iOS 9 and 10, and Android KitKat (v 4.4) or newer.